Guest blogger Nikki writes about the very difficult journey it is when a child’s needs and school provisions are a poor match for each other, and how it was homeschooling which eventually unlocked the cage for her son. The teachers are the locks. The parents are the keys. School began at 5 years and our fun outgoing son had the most wonderful teacher who looking back was one in a million. It gave me much false hope! I was so happy that this is what school would be like. Then came a class and teacher change and schooling has been a progressively challenging experience ever since. The principal suggested that he had Asperger’s because he was so articulate, so my husband and I decided it was time to have him assessed by an Educational Psychologist. We needed to find out the truth before labels that didn’t belong were attached. As it happened, he was verbally gifted in the 99th percentile. No Asperger’s, but perhaps ADHD, to be reassessed around age eight if needed. I met with the teacher and principal, but the report had no bearing for them. They said they just didn’t see it. He was given the consistent message he was a bad boy and he should be ashamed of himself for behaviours related to his unmet needs to move, be engaged at an appropriate level and for his asynchronicity between intellectual and emotional maturity. He was often punished for not finishing work by losing break time, a much needed outlet for him. They refused to put him up to the correct reading level due to social immaturity. We changed schools. This time, I vetted the school first, communicating our son’s needs clearly so there would be no mistake. I was given great reassurance he would be well taken care of. So began round two of schooling, this time with a first time teacher who was in charge of a very challenging class of mixed year-groups and several boys with behaviour problems. My heart sank. I knew then it was the school system that was broken, not necessarily the schools themselves and we would always battle against attitudes, biases and the needs of the rest of the children in the classroom. I persevered, trying to make the best of it. I volunteered so I knew what was going on, I baked for the teacher, was available, but not too much lest they think I was pushy or one of ‘those’ parents! I already was though, the minute I discussed our son’s needs. I felt like I had no internal organs, no power. I felt weak and hopeless. She had complete power over me. I felt like I had no soul”. He performed well academically and made many friends. He was gregarious and fun. His mid-year report was better than the beginning, but trouble was brewing. He tousled with the other boy in his class that had known behaviour problems. This boy targeted him, and our son reacted to him in retaliation. I asked for something to be done to help these boys learn to manage their issues, but nothing changed. I wrote a letter asking for help as our son felt bullied, so the school finally decided to do something. They separated the two boys, isolating one boy each day from the rest of the children. This brought about more issues, with the boys breaking the ‘rules’ to go and be a part of the games and fun. More trouble, more isolation, more feeling different. The teacher began to pick on our son more, criticizing him for what was good work, but done too quickly for her liking! I became a parent to be ‘dealt with’ rather than a resource for her. I could see things falling apart but felt powerless. My stomach had knots in it when I had to walk into the school for pick-ups and drop offs. All the while, our son was becoming more withdrawn and began to plead with me not to leave him at school. He would follow me back to the gate at school, quietly begging me with brimming eyes not to go. It broke my heart to walk away because I knew this little boy needed me more than his so called education. I felt like a traitor. I said “It’ll be okay, I’ll see you soon, only five more hours to go”… but my words were hollow and we both knew it. Around this time the teacher yelled at our son for talking while he was meant to be coloring in! She took him out of the classroom, stood over him yelling repeatedly “Why can’t you be normal?” He was sent out of the class for the rest of the morning. In the end, we were given a wonderful opportunity, even though it presented itself as a crisis. I called the principal to let him know we were seeking further medical assessment as our son was becoming more challenging at home and at school (he was diagnosed with ADHD a few weeks later). I told him how the teacher was behaving toward our son and how it made him feel. In a horrible few minutes following that, he gave me his very brash uneducated thoughts on our son, and told me he would be excluded from school if he couldn’t control his behavior. No offer of help, no discussion with the teacher, he wouldn’t agree to my request for a meeting with next year’s teacher so we could make a plan and made it very clear our son was not liked and was not welcome at the school. I hung up the phone, sank to the floor and sobbed. This time it was different – he had been openly rejected from a system that was meant to help him. It was a defining moment that opened the door to a new way of thinking and to the path of healing that needed to occur, so he could learn again in a happy environment, supported and loved for who he is. I didn’t see all this, or feel it right away though. It felt awful; I felt letdown, isolated, rejected, confused and angry. I felt incredibly protective of our son. I took him out of school and enrolled him with Mary St George at Gifted Online until the end of term so we couldn’t be prosecuted for non-attendance and began researching options. Mary encouraged him and supported me through this crisis and I will forever be grateful for her wisdom, kindness and knowledge. Our son took months to recover from the psychological damage that accumulated over his two and half years of schooling. We chose to homeschool so we could nurture him back to his love of learning and try to repair his hurt, reframing and replacing negative thoughts and experiences with positive ones. He loves being taught this way, and has blossomed. He is happy, engaged, learning well and for longer periods of time now. “It makes me feel like an empty street. So much change needs to occur for children like our son who are being hurt in school. Our son fell through the cracks and no one seems to care. The Board surrounded the Principal, and we were told to get a tougher skin and move forward. There seems to be no accountability for the schools, and so it continues. In telling our story, I hope that it may contribute in some small way to the changes that are desperately needed. Photo Credit: The open cage photograph is by Flickr member ajari, and has an attribution license. 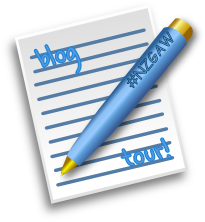 This entry was posted in E-Learning, education, gifted, New Zealand, Uncategorized and tagged #nzgaw, ADHD, blog tour, environmental issues, Gifted Awareness Week, gifted children, gifted education, guest blogger, social and emotional needs of the gifted, twice exceptional. Bookmark the permalink. This is an incredible story full of heartbreak and hope. It sounds so scarily close to my story of trying to do the best for my children and not finding the help & support we all needed. Thank you Nikki for sharing this, you are very brave and an amazing Mother. I ‘second’ Katja….. what a brave blog post and what an incredible Mother you are Nikki. As I read this sentence by sentence I felt sick to the stomach. Apart from the end of your story – choosing the home school route – our experience and journey with our son parallels this. We recently departed the public school system in utter disgust. We too, tried many of the relationship building, supporting and advocating strategies that Nikki tried. The school resorted to some incredibly creative, dishonest and unethical measures in an attempt to destroy our son and his reputation. The day we notified the school that we were withdrawing our children the Principal, Chair of the BOT and our son’s teacher were overheard congratulating each other on “managing us out” and proceeded to High 5 each other. Oh, such professionals!!! I question how they can sleep at night. Why are so many parents of gifted children ostracised by public school employees and BOT’s? Why are so many gifted and fun loving children crucified and humiliated by so called teaching professionals and school management? Why are there so many incompetent Board Of Trustee members who prefer to mock and criticise gifted children and their parents rather than perform the appropriate governance and deliver decent education as they are appointed to do? The lack of accountability is disheartening for those seeking support and redress from official channels. We phoned the Children’s Commissioner over some of the appalling things happening in the school….. they were empathetic and gave good advice. However, they advised we had to go through all the official channels (Principal, BOT, MOE) before they would get involved. Little point in that when the email reply we got in writing from the BOT, after we put written concerns to the Principal and BOT, was “….we support our Principal. If you are unhappy with the school we will assist you to find another.” We, together with other parents, raised concerns with ERO as they were in the school conducting a review. They also listened sympathetically but…. you guessed it….. they said they must provide a “balanced report”, we needed to take action and look at other school options and then take our concerns to the MOE. Where is the accountability? Why are these so called teaching professionals and BOT’s allowed to get away with their behaviour as per this post? Why is non-performance ignored so often? It is not a case that the unprofessional behaviour and non-performance goes unnoticed. I have had numerous discussions with parents of gifted children who have had similar appalling experiences. Many of these people have advocated, written letters, spoken out to Principals, BOTs, ERO and even MOE – all to no avail. But we won’t give up. We must all keep speaking up. Keep advocating. Keep doing what is right for our precious children. Thank you so much for sharing your story. I lived through much of the same trauma with my eldest. With my two younger children I had the benefit of experience but realize that there are so many moms like us out there who are each trying to figure this out on our own with no help from the ‘educational experts’ that we initially assume have the answers. Your son is so fortunately to have a mother who didn’t accept the labels and judgments from schools but stuck to her gut instincts about him. We need more people to share their stories like you did. Doing so gives other parents the hope and courage to find solutions for their children that may not fit in with the status quo. Thank you for your responses. It is sad news to knowing there are so many others who have shared experiences with this issue. I just didn’t know that schools would act as the bully. It has been an unpleasant education for me as I have woken up to the fact that having a child with special educational needs may not be helped, no matter what the rules are as set by the MOE. Guess who the G & T educator is at the school our son used to attend? The principal – and I have in writing from the Board that they do not have any written guidelines or policies at the school for G & T education (as they should). I too have called the Children’s Commissioner, the Health and Disabilities Commissioner, Youth Law, the IHC advocacy group, the MOE, and ERO to no avail, except ERO. They have been very good so far, and seem to have taken an interest in our situation. We’ve been advised we need others to come forward however, to make any sort of real change. Power in numbers. I’ve found however, other parents don’t want to expose themselves or their children, so remain silent. A teacher also commended me for speaking out, and wanted to do the same with ERO, but feared for her job, so…remained silent. Something needs to change. It is not fair that any child is left alone, needs unmet and not learning. The Board used the fact that our son still achieved well as proof he was unaffected by his experiences. No, he did that all on his own, in spite of his teacher. Imagine what he could do if he was supported. As a former public school teacher (note, I said “former), I empathize with what you and your child went through. I’m also homeschooling my son. The system needs a major overhaul as teachers and principals that I worked with are so beaten down and struggle through a muddied education swamp. It’s not teaching and it’s not learning in so many systems right now. Everyone involved knows it, but they’re held at gunpoint to perform and subject the kids to the same forced obedience. It is heartbreaking and until parents rise up (teachers have no voice anymore), anyone who steps outside the box will be broken down. I’m just glad some of us have escaped. Thanks for sharing your story. I’ve toyed with homeschooling for five years. It seems that we too have reached tipping point. Thank you so much for sharing your story. Sounds so familiar. My son is 5ht grade, gifted and very sensitive. I am giving the school system one last chance. I am not familiar with homeschooling and trying to get myself educated on curriculums. Nikki, what did you use? Online homeschool, curriculum or mix?